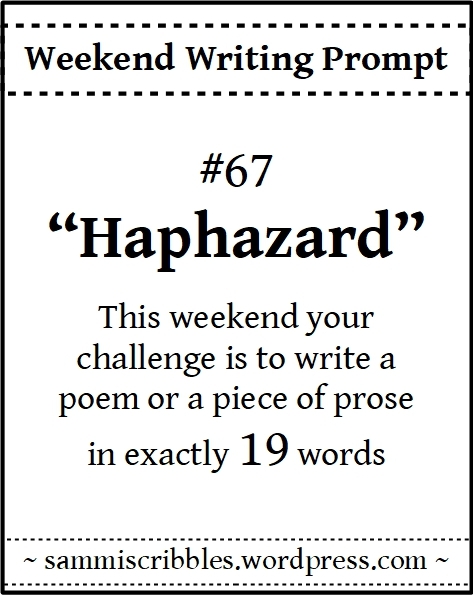 This entry was posted in Challenge, Poetry, Weekend Writing Prompt and tagged Messy rooms, Moms are tough. Bookmark the permalink. You pulled it off and wrote it well in 19 words. Nothing haphazard about it. In the mail, of course!! Most kind… was a b*tch to get it to rhyme in an acceptable manner And within 19 words… not my forté! Well you cinched it, and real good. Ya did it! When you mentioned the 19 word prompt, I thought to myself . . .”Better you than me!”. And then you went and done it! Proper and righteous, you nailed it. Now, please tell me this prompt is like the limbo? Next week 18 . . then 17 . . then 16 . . I love the idea of 5. Oh . . you can do it . . .
Eesh… don’t be giving her any ideas!!! Why not give her ideas? It’ll be fun! Of course, as per the prompt… uh huh… right. Pizza, thin crust, extra cheese, green peppers, Italian sausage chased with Talenti 3 scoops Mediterranean Mint Chocolate Chip Gelato. Wonderful! you did not need more than 19 words to tell the story.